Mission San Juan Capistrano will celebrate this holiday season by holding its first-ever Christmas Tree Lighting program as part its long-standing annual Christmas at the Mission event. The December 1 st event will usher in more than 37 days of tree lighting and holiday experiences for the public, ending January 6, 2019. 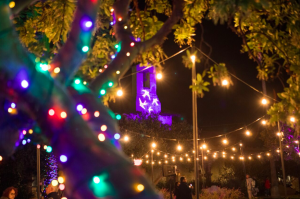 For those wanting to visit the Mission during the holidays yet not able to attend the December 1st event, the Mission will also host Capistrano Lights 2018: a free nightly tree lighting at 5 pm. Guests who are already on the Mission grounds prior to 5 pm may enjoy the tree’s 15-minute nightly music and light program at 5 pm sharp, free as part of their visit that day; no additional tickets are required. The Mission’s new nightly lighting and music program will be held from December 2 – January 6, 2019. Guests must be on the grounds before closing at 5 pm. After the Mission closes, guests can take their complimentary Downtown San Juan Capistrano map and discover the historic downtown heritage tourism district with plenty of holiday shopping, dining, and wine tasting all season long. 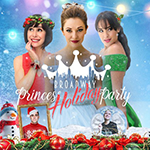 Throughout December weekends, families will also have the chance to meet and take“selfieswithSanta and/or Mrs. Claus” in the historic Sala building on December 8, 9, 15, 16, and 22 – free with their admission or membership. 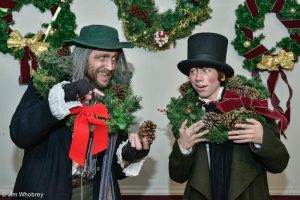 To purchase tickets for the December 1st Christmas at the Mission event, or to find out more about Capistrano Lights and all of the Mission’s December programming visit www.missionsjc.com/events/2018-12/ .